DANOBAT bandsaws provide comprehensive solutions for solid bars, tubes and metal sheet with utmost precision. 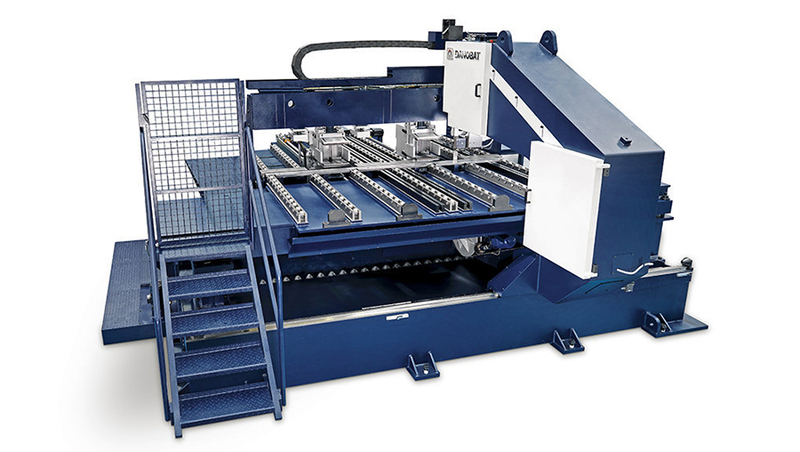 Automatic and semi-automatic wagon or gantry style horizontal bandsaws as well as vertical bandsaws are developed adapting the solution to each customer’s requirements. Any vibration during the cutting cycle is completely suppressed because of the polymer concrete filling of the columns and heads on the DANOBAT saws. This is particularly important when sawing materials that are hard to cut. The saw head is designed and manufactured in one single piece. The parts of the saw head are assembled and then placed on a special machining center to be able to machine all critical surfaces in one single setup, ensuring that all the mounting points for band wheels and band guides are in exactly the same plane, and that the path of the saw blade is accurately positioned in the saw head construction.